The CD35 antigen is a polymorphic molecule. Different molecular weights: 160, 190, 220, 250 and 285 kDa were reported for the various allotypes. It is known as the Complement Receptor type I (CR1) with affinity for C3b, C4b and iC3b. 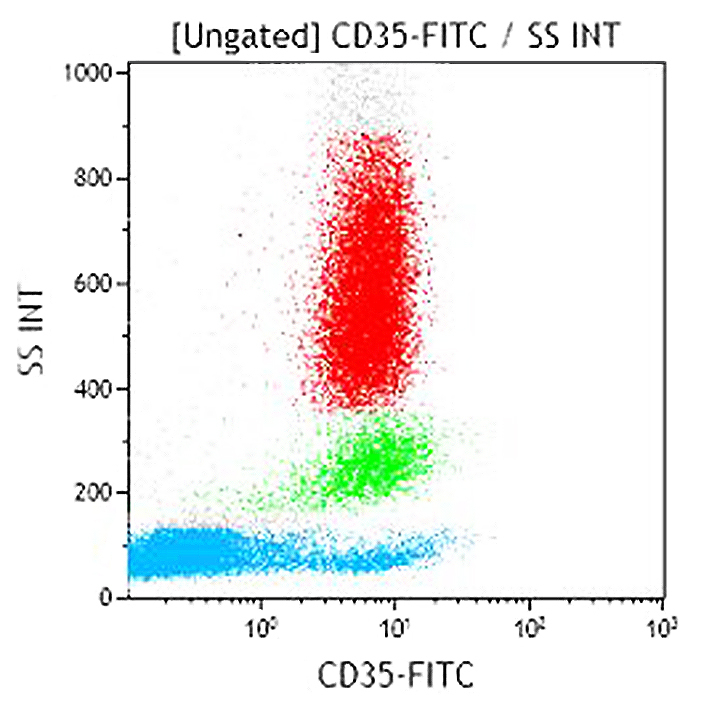 The CD35 antigen is expressed by granulocytes (except basophils), B lymphocytes, monocytes, some NK cells and erythrocytes. The CD35 antigen mediates phagocytosis of complement coated particles. Clone Description The J3D3 monoclonal antibody inhibits CR1-mediated decay of cells bound to the alternative and classical pathways to C3-convertase sites. It also inhibits C3b dependent rosette formation with lymphocytes.